Release Announcement: New eBook The Spaceport Was Empty Comes Out Today! I am proud to announce the release of my new short story The Spaceport Was Empty, now available for immediate download or online viewing at Amazon.com. Sis is a nine-year-old girl. She is going on a journey with her mother, brother Sim and Old Dev. It starts out as a routine trip to Louisville but soon takes a galactic turn. In the course of the journey, Sis learns that her mother has secrets. Her mother discovers a wild secret about her old flame. Will they ever get to Louisville? Will these characters manage to survive a trip in close company with each other? Click to find out. This is a humorous story in which old country ways mix with futuristic fantasy. 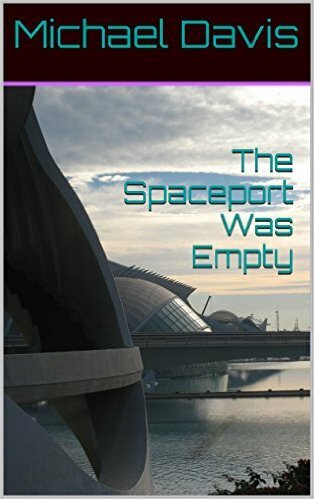 It is mostly about the characters, though, and you'll find yourself immersed in their fears, secrets, wonderment, and comical conflict as you follow them from home to another planet and through all of the twists and turns in between. The consistency in the Dummies series has a lot more to do with formatting than textual content. From the beginning of the series in 1991,1 different authors and editors have been used for different books. And now that there are gazillions of titles offering instruction in everything from fishing to Einstein, such consistency would be near impossible. So you never know just what you're going to get. 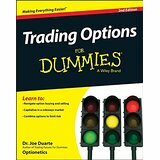 The reviewed version is written by Joe Duarte, author of a number of trading books, For Dummies and otherwise. It was published last year, an update of the 2008 original by George Fontanills. The reason this book is not for dummies is that the subject is so complex. Only one page is needed to explain the different types of options, but how to use them, and when to use them take more than a cursory look. For the math-averse, it is even more difficult. With that in mind, the book does give a good description of these concepts. It is more of a reference than a how-to book. I have two complaints about the book. One is that it covers much more than options. Many pages are devoted to stock trading and technical analysis. My second negative is the graphs. Though they are explained adequately by the text, the lack of color (common to the Dummies series) makes them very difficult to read, and impossible to decipher without the description in the body of the text. I became interested in trading options while watching the Tasty Trade network. I have used them in a limited fashion to reduce the cost of my stock trades. This isn't really trading as I would define it, but it works for what I am trying to do. For this reason I think anyone who actively manages his own investments should consider the most basic of option strategies. Trading options as a stand-alone method of making money requires a lot of attention, at least thirty minutes each day. Because the subject is so complex, even professional option traders generally stick to one or two strategies that they get to know well. 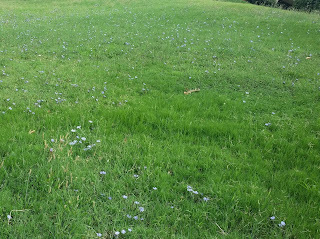 For the time being, I am not willing to devote such time to the task. One surprising fact I have learned is that options trading takes less capital as an initial investment. So individual "retail" investors are not excluded from trading, and in fact may have an advantage over large institutions, because the size of their trades can affect prices and even the direction of underlying stock price movement. If you are all about options trading, this would be a nice addition to your library. But it is not for the faint of heart. Be ready to put on your thinking cap and whip out your calculator. And returned to service, its summit yet reached.